Located at the junction of the main Pleyel/Clignancourt road with Paris ring road – Boulevard Périphérique – the site has the advantage of a high visibility. It marks the entrance to the flea market of Saint-Ouen and faces the Django Reinhardt square which hosts the Parisian flea market from Saturday to Monday. 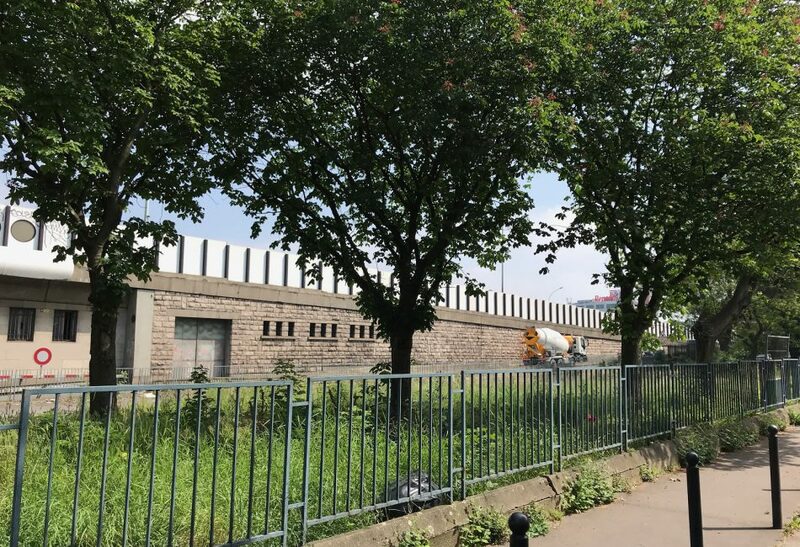 It is very close to the metro line 4 and the soon-to-be-opened T3 tramway station, and is situated in the New Urban Renewal Programme (NPNRU) for the Porte du 18e sector (18th arrondissement) on a plot freed up by housing demolition in 2016. Its transformation is part of a wider approach to the revitalisation of the green betl which should enable, amongst other things, to transform Paris’ main road access points (Portes de Paris) into squares. The plan, therefore, is to develop a project with a programme to animate the sector, particularly at street level.